Kimma Vending trays process distinguishing features so that it offers flexibility, the aisle’s width and location is adjustable and its aisle has many optional attachments. Standard aisle is 4 and 8 or 3 and 6. They can be exchanged according to the commodity’s width. 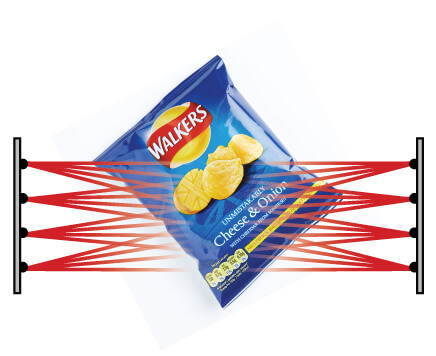 The brackets can reduce resistance when vending goods; the plastic front-ends on the springs can reduce linked goods; tray railings can prevent goods from jamming when vending. Kimma Vendings coin mechanism uses advanced magnetic electromagnetic recognition technology. It is designed to receive coins in any direction. It can also identify the GB Pounds & Pence, the U.S. dollar, the Euro coins and other currencies. Kimma Vending coin mechanisms can be automatically storing money and giving change. It is designed in line with international standards MDB machine interface. There are four coin tubes whose maximum capacity is about 400 pieces coins, and the power supply is 24V. 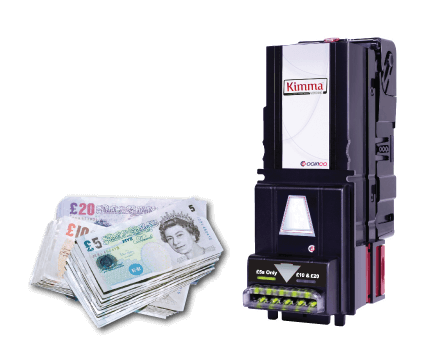 Kimma Vending bill acceptor uses infrared, magnetic, texture recognition analysis technology, which can accurately identify the authenticity of the GB Pound, the U.S. dollar, the euro and other currencies. It is designed in line with international standards MDB machine interface that can receive notes in four directions with a speed of 4 seconds. The box capacity is 400 notes, and the power supply is 24V.